I've not had to purchase mascara for some time as I've had so many samples. Wells inevitably run dry, don't they? Wait... do they? When I noticed my Benefit Rollerball and They're Real mascaras running dry, I started researching what mascara I wanted next. Long ago, my "end all be all" mascara was Lancome's Hypnose Drama. 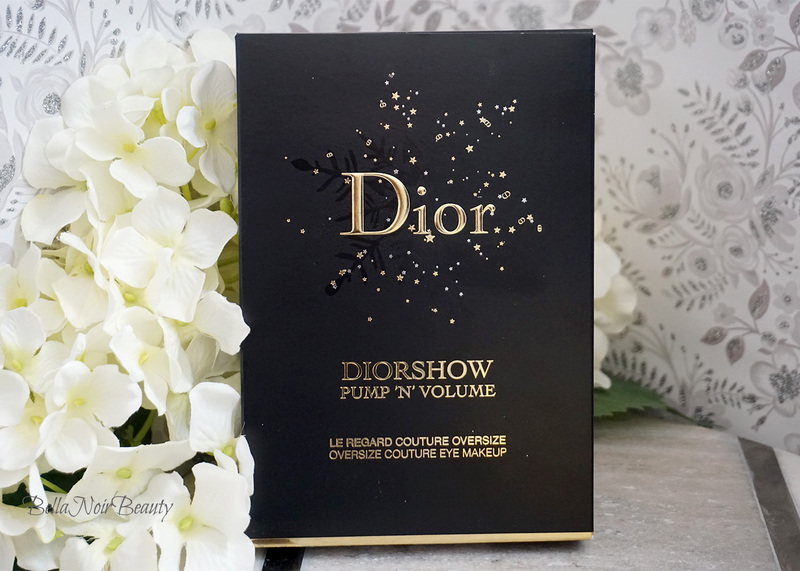 This time, I decided to go for Dior's Diorshow Pump N' Volume. 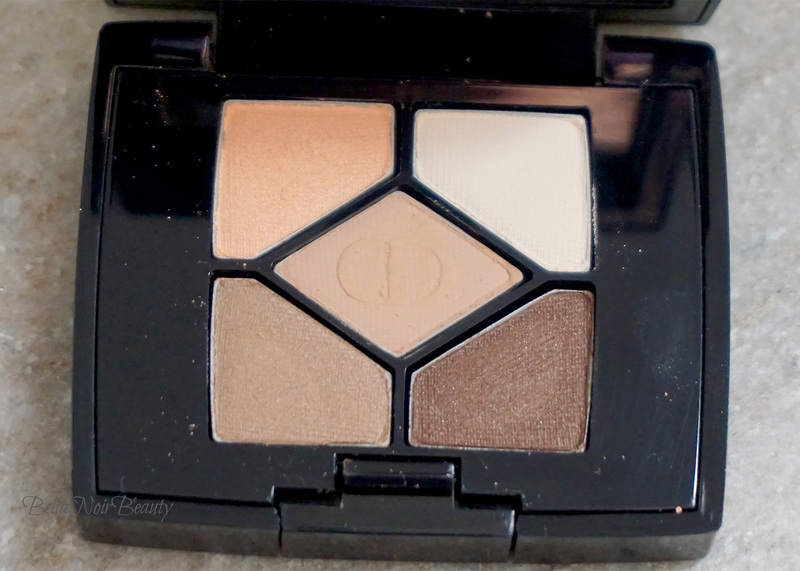 Lucky for me, I was also able to score a mini 5 Couleurs Eyeshadow Palette in Undress. Even luckier, it was 15% off because Nordstrom was price-matching. I ended up paying $25 for this baby. My eyelashes are puny, top and bottom and my eyelids are oily af. 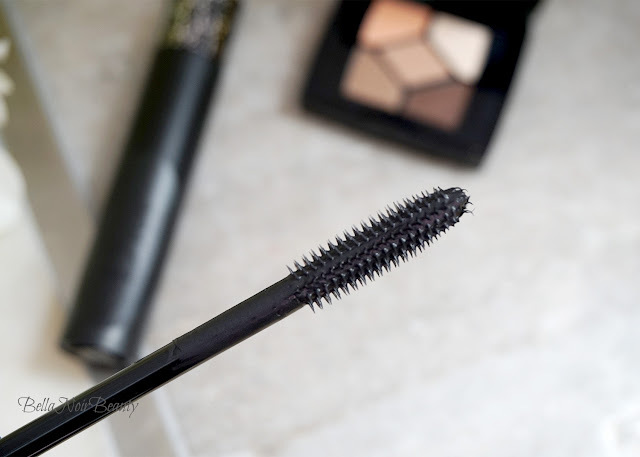 The Pump N' Volume Mascara is supposed to lengthen and provide volume and it definitely does both of those things. 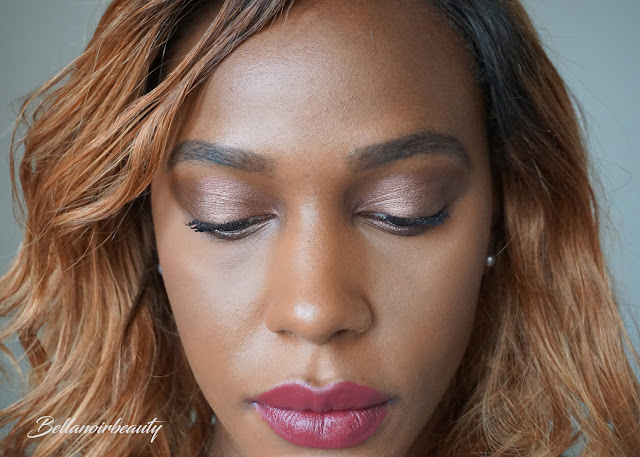 First, I focus on separating and lengthening my lashes. 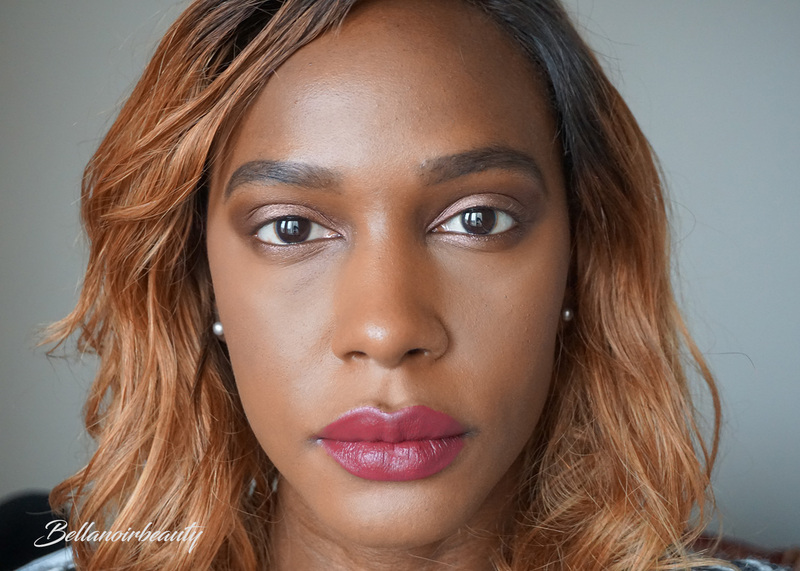 I go in with a second coat to emphasize volume. You can watch the video below for actual application. I love the beautiful box it came in. I don't usually keep the packaging on anything but this box makes me want to. I just don't know what I would use it for. The mini palette is as nice as I expected it to be. 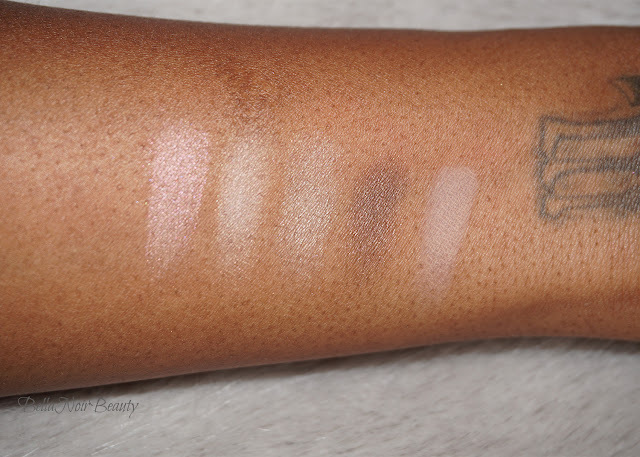 It's teeny tiny, though; I had trouble getting my eyeshadow brush to fit wholly into the color pan, but it worked well - a plus since it was free! 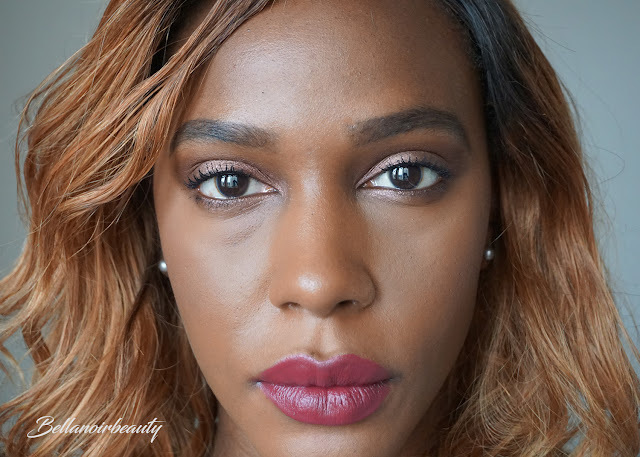 I also love the applicator which is more like a comb than a brush, and a must have for my mascara purchases (my lashes are naturally curled and I need to keep them separated). 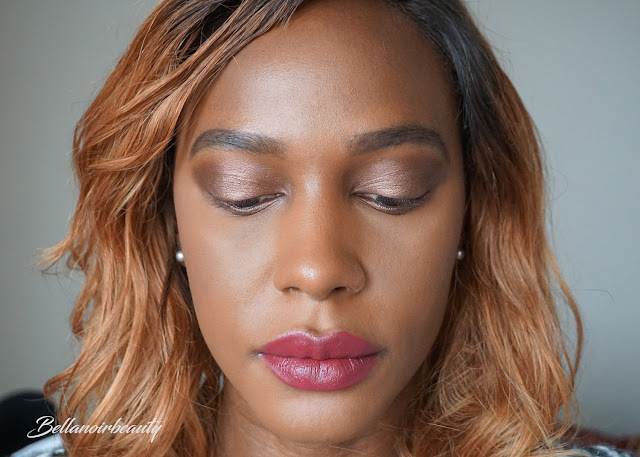 Have a look at this video of me demoing the eyeshadow palette and the mascara. Following are photos of my lashes before using the mascara and after. I like the separation the mascara gives my lashes and I love how dark it is; I could even go without eyeliner with this mascara, which is kind of a huge deal for me because when I don't wear eyeliner I feel I look like an alien of sorts. 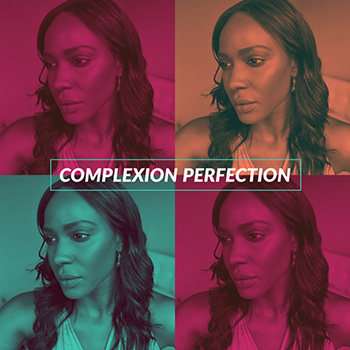 I tried this on at Nordstrom without any other makeup on my face and was in awe at how much it lengthened my lashes. I've been letting them grow out after wearing eyelash extensions, and I thought I still had a long ways to go, but I was just amazed at the results. I haven't seen my lashes look so long in ages. I haven't had a problem with clumping but I feel like since the formula seems so concentrated applying more than three coats might cause problems. The applicator doesn't do much for my puny bottom lashes, which I expected. I find the squeezing of the tube peculiar; I'm not sure it's actually doing anything? 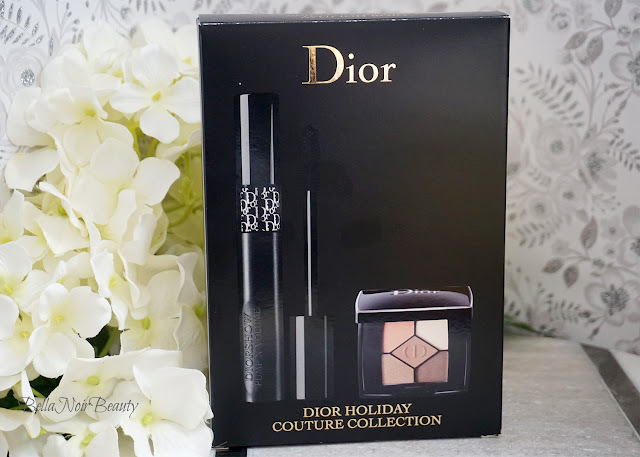 Dior says the point of squeezing it is to "generously coat the brush and soften the creamy, rich mascara formula inside for a perfect, fresh application, every time." Ok, I'll buy it, but I often forget to pump. Dior was my introduction to makeup! 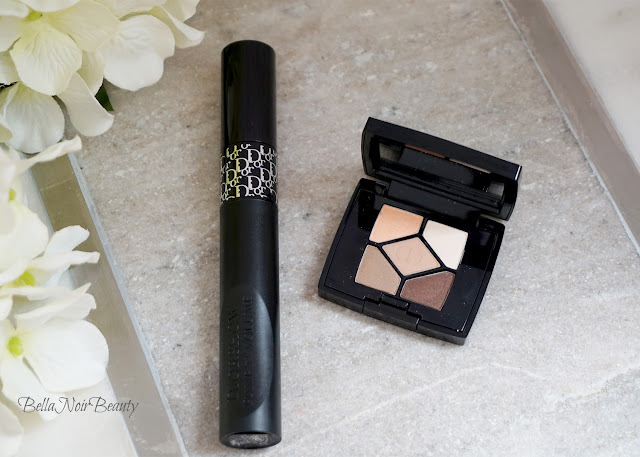 DiorShow remains my favorite mascara, definitely worth the price! It was a good buy! 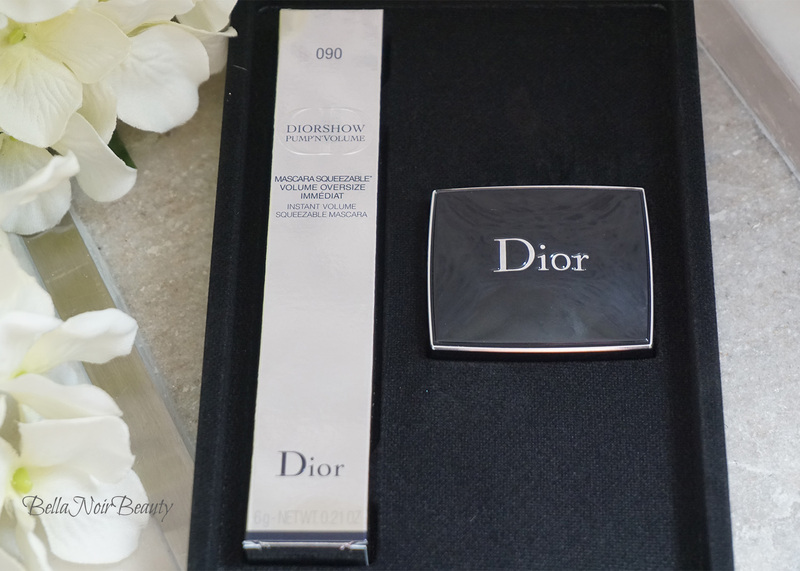 I almost went for the Dior Addict but this one looked more intriguing.